Many have been asking what’s up with the new Prophet Posse headed up by CEO Nick Scarfo. MemphisRap.com caught up with Prophet to answer a few unanswered questions. Many have been asking what’s up with the new Prophet Posse headed up by CEO Nick Scarfo. The most recent release of the label was entitled “Prophet Posse The Return: Part I” and as reported on Memphisrap.com then, there was to be a Return Part 2. “The Belly of The Beast,” the title of the sequel album to Part 1 by Prophet Posse was released October 30, but since then there has been a buzz or rumors surrounding former members of Three 6 Mafia and there affiliation with the New Prophet Posse so MemphisRap.com caught up with Prophet to answer a few unanswered questions. Memphisrap.com: The Prophet Posse album “The Return Part 2: Belly of The Beast” just dropped, so what kind of feedback has Prophet been getting on the album? Prophet Posse: We have been getting great feedback, a lot of people have said they like this album. We took it back this time to the gutta gutta Prophet sound. Memphisrap.com: Before we begin on the new Prophet Posse, give the fans (who don’t know)a brief breakdown on how the original Prophet Posse began, and who were the original members? Prophet Posse: It began with Three 6 Mafia , the original members were DJ Paul, Juicy J, Nick Scarfo, Lord Infamous, Koopsta Knicca, and Gangsta Boo. Memphisrap.com: Fans are wondering who are the actual members of the new Prophet Posse, because we know there are a lot artists now down with Prophet Posse, but who are the actual new members of the new Prophet? Prophet Posse: The actual members are Kelo the Work, K-Rock, Nick Scarfo, T-Rock, Lord Infamous, Droopy Drew Dogg, Koopsta Knicca, Capt. B, and also two new female members Hott Sauce and Nicki Ricardo. 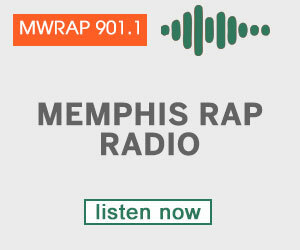 Memphisrap.com: Now, quite of few of the original Three 6 members have been recording with Prophet, who are the actual ones from the original Three 6 and we’re talking about around the time of Mystic Stylez (1995)? Prophet Posse: Lord Infamous, Koopsta Knicca, Gangsta Boo, and Lil’ E (Better known as Mr. Powder Get You Hyper). Memphisrap.com: “The Return Part 2: Belly of The Beast” is the second release off the new Prophet Posse, what was different about this album that maybe wasn’t done with the first project “Prophet Posse: The Return Part I”? Prophet Posse: This album, Lord Infamous cliqued back with the posse as well as Droopy Drew Dogg and we went back to the original Memphis Prophet sound. Memphisrap.com: Who was on the production of “Belly of The Beast”? Memphisrap.com: Do you feel that the “Belly of The Beast” and the new Prophet Posse brings that rawness of the original Prophet? Prophet Posse: Fa Sho, No Doubt. Memphisrap.com: Who was it all featured on the album? Prophet Posse: Lord Infamous, Yo Gotti, Skinny Pimp, Kelo The Work, Nick Scarfo, Tela, Playa Fly, Pastor Troy, The Kaze, Hott Sauce, and Nicki Ricardo. Memphisrap.com: Was there anybody Prophet didn’t get to work with on this album that you would have liked to have worked with? Prophet Posse: We would have liked to have worked with Crunchy Black. Memphisrap.com: Is Prophet Entertainment looking for new talent for the new Prophet Posse or looking for new solo artists? Prophet Posse: We are always looking for new artists, if you would like to be heard hit up Nick Scarfo at 901-644-4573. Memphisrap.com: Do you have any upcoming tour dates or appearances fans should know about? Prophet Posse: We just did a show November the 24th in Nashville with Plies and December 1st with Plies in Mississippi. Prophet Posse is now on a radio promotional tour on our way to Little Rock, Nashville, Jackson Mississippi, St. Louis, Chicago, Atlanta, Orlando, Miami, Macon Georgia, Louisville Kentucky, Dallas Texas, and Houston Texas. Memphisrap.com: What can fans expect from Prophet Posse in the future?